A New Way to Glow! Sound sleep cocoon is specially formulated to deliver active ingredients that hydrate, brighten and revitalize at night – when skin is best able to use them. 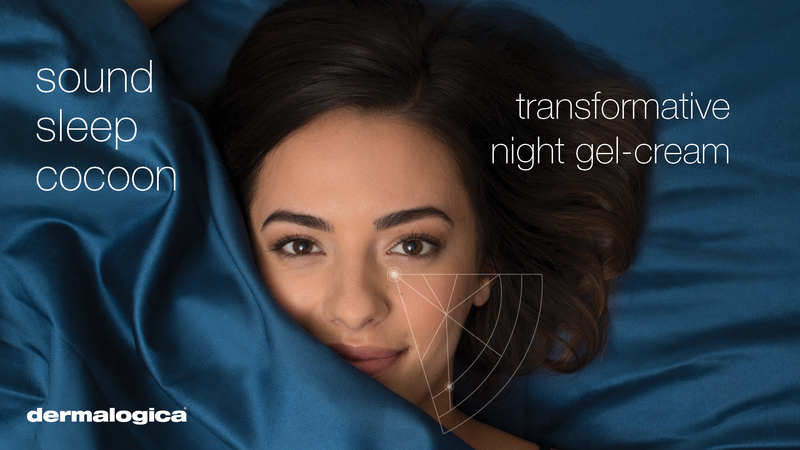 Revitalizing treatment gel-cream transforms skin overnight by optimizing nighttime skin recovery. Tamarind seed extract creates a nourishing cocoon of comfort for softer, more hydrated skin while encapsulated, motion-activated French-lavender essential oil (with Sandalwood and Patchouli) work all night to promote deep, restful sleep for healthier-looking skin by morning. Other key ingredients include Persian Silk-tree extract which reduces signs of skin fatigue and restores vitality while Wu-Zhu-Yu extract provides visibly radiant skin by the a.m.
Layer sound sleep cocoon over their preferred Dermalogica moisturiser to further enhance overnight hydration.